and potatoes added to leeks make a delicious soup, especially once you add cream and buttermilk! You really can't go wrong with that combination. Leeks from the farmer's market and fresh dug potatoes from my mother's garden were the inspiration for making soup. I couldn't find the recipe I had used previously so I googled and found this great recipe featured on the food network's Alton Brown. I've made other internet recipes of his so I felt confident that it would be great and because his recipe is online-I'm directing you there instead of typing it out...I hope you click and check it out though because this soup, plus a loaf of fresh bread and maybe a small salad, is a perfect Fall meal. After you add the vegetables and the veggie broth in the recipe you use an immersion blender to blend it all together (making it a smooth soup). One of the last gifts my grandmother purchased for me was an immersion blender and what a useful tool it is! Because of this great tool it took me only about 25 minutes to finish this soup. Thank you Grandma B.! I am out-of-town for the night, attending a local BBQ, Blues and Brews festival, sponsored by Peace Tree Brewery. We've been looking forward to this trip for a few weeks even though it is only one overnight. My mom is hanging with my children and they will be enjoying the leek soup tonight for dinner. I'm excited to check out this brewery but am a little nervous about dinner-BBQ-doesn't leave a lot of yumminess for vegetarians or locavores. My husband will scarf up whatever, as his standards are lower than mine, and he believes in being really "flexible." So we shall see what's on the menu. He graciously has offered to take me someplace else for dinner but I'm sure I can survive with baked beans and (hopefully) some sweet corn-after all we are still in Iowa!! 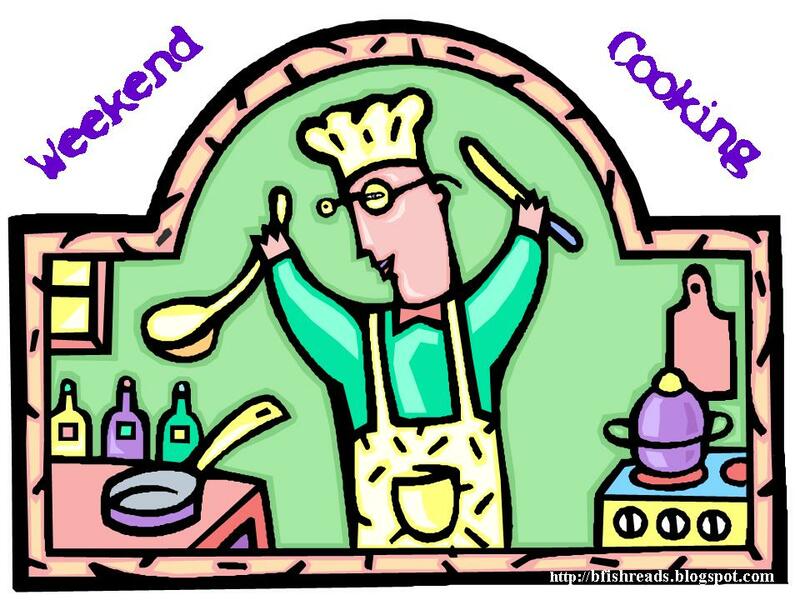 Happy eating and reading this weekend! 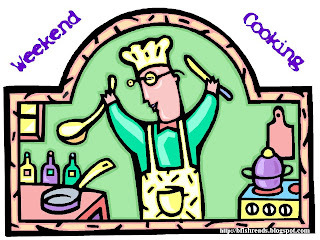 This post is part of Weekend Cooking hosted by the great Beth Fish Reads reading spot. Check out her post about a helpful harvest cookbook.